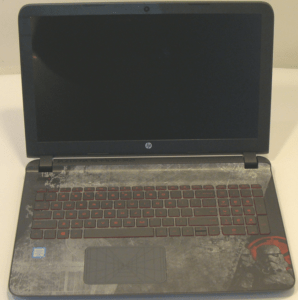 In 2015 HP released a 15.6″ HP Pavilion Special Edition Star Wars laptop sold for almost $900 US. 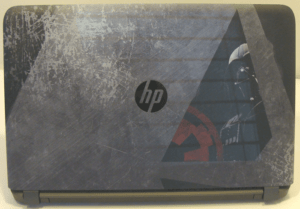 It was a custom edition notebook that offered custom Star Wars artwork on the body of the notebook and themes preinstalled on the OS. It really is a gorgeous machine. 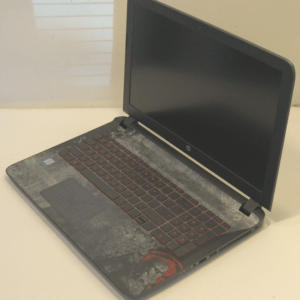 As far as specs are concerned you got a 15.6″ full HD IPS display and an Intel Core i7-6500U, 1TB HHD, 8GB of RAM, and an NVIDIA 940M GPU with 2GB of video memory. 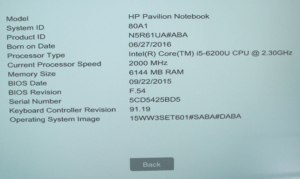 Since it was a limited edition notebook it retailed a bit higher than it normally would, given the specs. On the left side of the notebook, you have your charging port, Gigabit Ethernet, USB 2.0, USB 3.0, a DVD drive, and an SD card reader that sits almost flush with the notebook making this a big bonus. On the right side, you have your power status and hard disk LED indicators, headset microphone jack combo, USB 3.0, full-size HDMI, the exhaust port for your fan and the Kensington security lock slot. 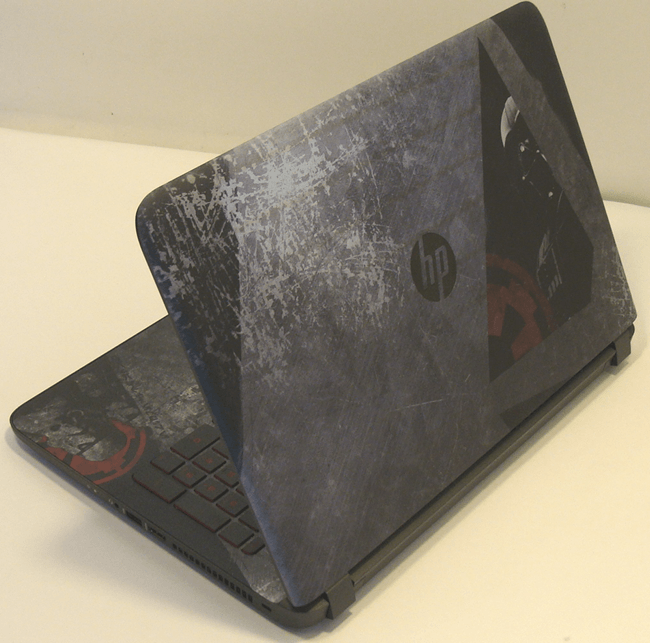 The design of this HP notebook is pretty much the same as other HP notebooks, but the graphic art on this is beautiful. It has a really cool Dark Side black and gray color scheme. It weighs 5.07-pounds and at its thickest point, it’s about an inch. 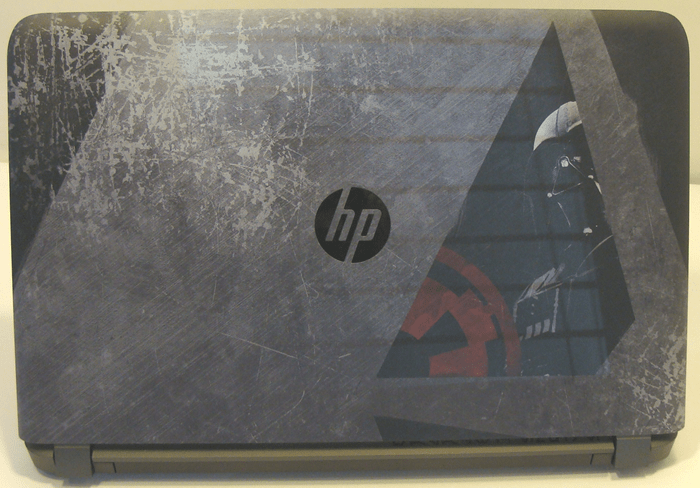 For you Star Wars fans out there, HP preloaded this notebook with a handful of extras. The Star Wars Command Center has a ton of wallpapers and themes that you can load to your notebook. Next, is your Star Wars library. Here you will find Star Wars books and more. Here you will also get some trailers like the Attack of the Clones and probably the biggest fan favorite, it has the Star Wars comic books loaded, that’s awesome for Star Wars fans. Overall, HP did a good job including customizations and themes to make it more unique. 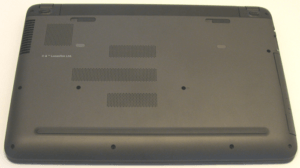 This notebook rocks a 15.6″ IPS display with a resolution of 1920 x 1080p. Text and images look pretty sharp but the color accuracy is pretty dull, the sRGB scored 69% and the Adobe RGB scored 51%. The nice thing about this panel is that it is an IPS panel that allows you to have much larger viewing angles. To top it off, this panel does have an anti-glare coating. 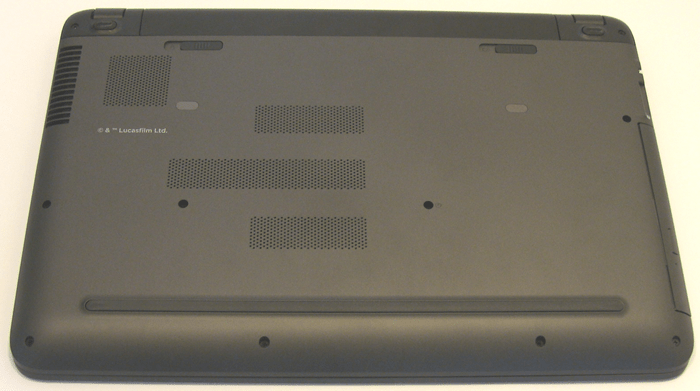 On this model, you are getting a standard keyboard with a numeric keypad. This keyboard is comfortable to type on and it offers good tactile feedback, but the key travel could have been better especially on a notebook of this size. That being said, the overall performance of this keyboard was good. You did get a backlit keyboard with one option, either on or off. The red letters on the keys are kind of hard to see in the daytime with the backlight off. 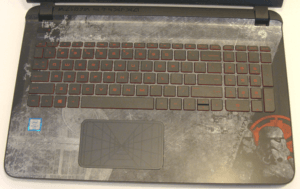 The trackpad on this notebook is OK. For the most part, two-finger scrolling and multi-touch gestures were accurate and responsive; however, tracking and right-clicking on items could be frustrating. 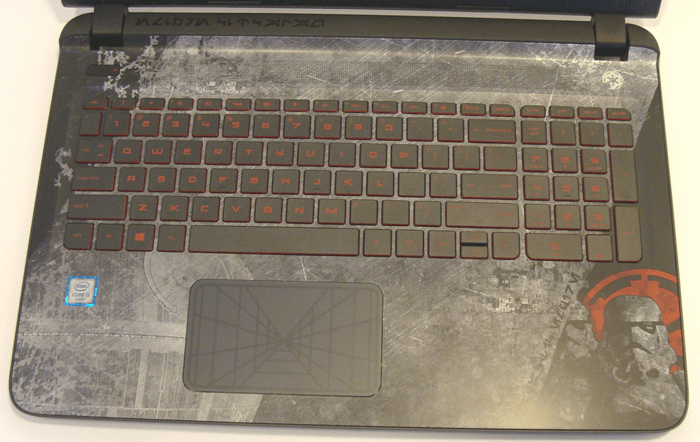 The good thing is that this laptop is aimed towards gamers so that means a mouse will be used more often. The CPU powering this laptop is an i7-6500U clocked at 2.5GHz and can turbo boost to 3.5GHz. The chip was based on the then-new Skylake architecture which offered better efficiency and performance. With this chip, you can power through your daily applications with ease and it has enough juice to run your games smoothly. Though it is not a quad-core chip, its dual-core performance is solid. The GPU is an NVIDIA 940M and based on the Maxwell architecture and offers great efficiency as well. As a mid-level card from NVIDIA, the performance was good. With settings of 1366 x 768, this card is able to play many of today’s games. However, due to its limitations, high-end games do push this card to the max. The downside to this card is the DDR3 video RAM and 64-bit memory interface. Even with its limitations, the NVIDIA 940M will offer you enough horsepower to get many of your favorite games to run once you adjust some settings. The hottest part of this notebook is between the enter and arrow keys and it averaged around 45 degrees Celsius. 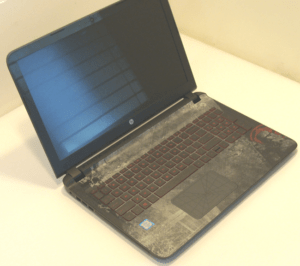 The fan kicks out around 55 degrees C. Overall this cooling system kept the laptop cool during extended gaming sessions. Both CPU and GPU are kept at about 70 degrees C. The fan on this notebook is well controlled. 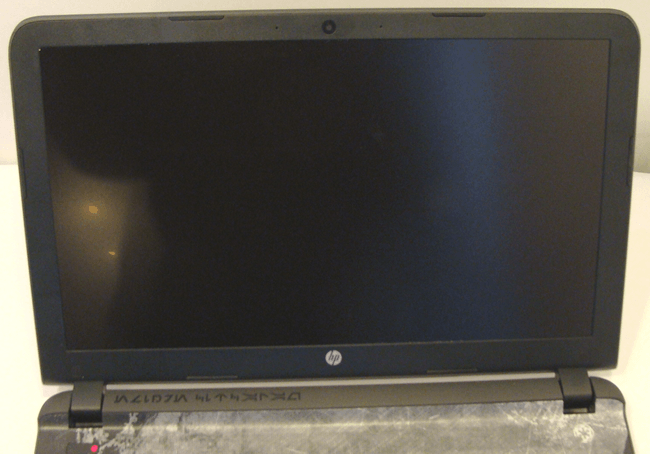 During light to medium use, the fan noise was not that loud, unlike past HP notebooks. Once you fire up some games the fan will rev up. There are two top-facing Bang & Olufsen speakers and they are weak. They offer exactly zero low-end kick, and their mids and highs are adequate at best. Since it’s a special edition notebook, many people probably expected more. 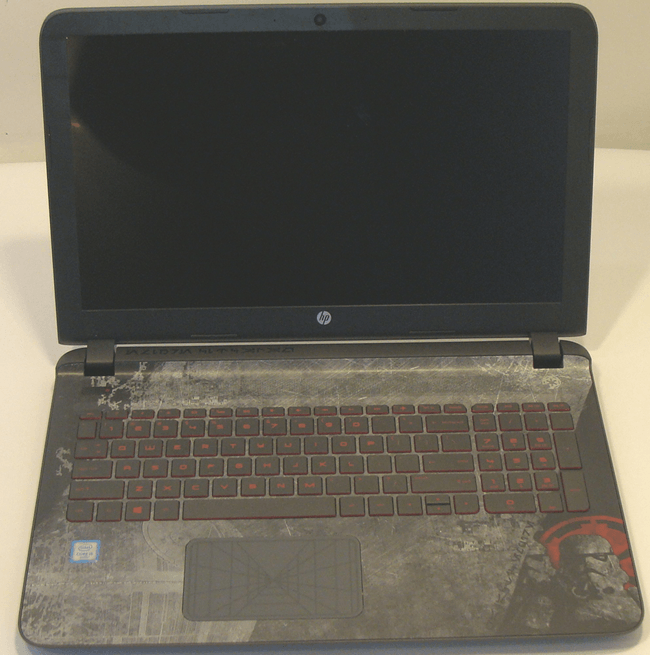 Battery life is about average among other gaming notebooks. With your screen around 60% brightness, you can expect about 4-4.5 hours of casual use. For gaming, expect about 90 mins. The 5400 RPM drive on this notebook is so slow that it’s frustrating to try and load applications. This needs to be replaced ASAP. 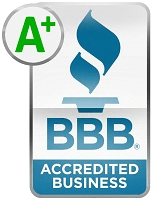 The Samsung 250GB 850 is a decent option to boost your overall performance. This model has 8GB of RAM with two DIMM slots which means you can later upgrade to 16GB of RAM. 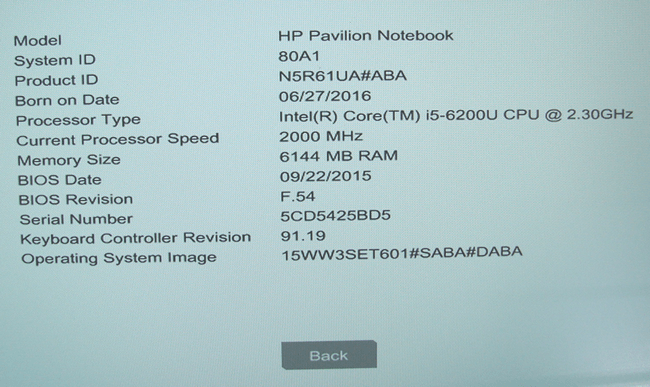 In conclusion, when you read the specs on paper, this laptop just seems a bit overpriced. You’re paying a higher price due to its Special Edition Star Wars setup. The added price comes from the custom themes, artwork, and for the Star Wars fan, it’s probably a decent deal.